How CRM can help your e-Commerce Business? If you are running a business online then it would be a big mistake if you are not using a CRM software. 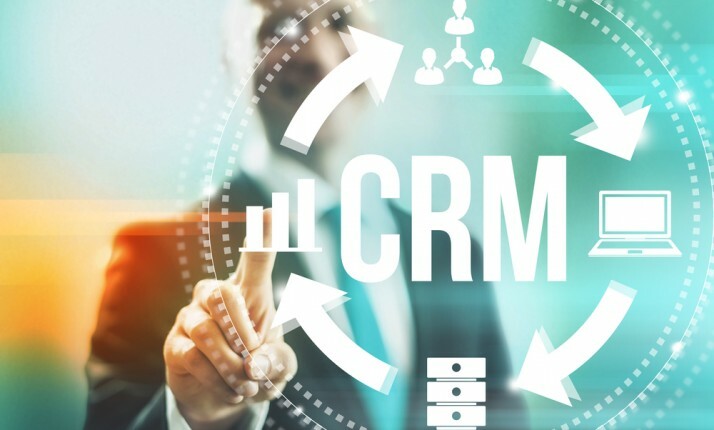 The days of past where CRM were only used to improve customer relations are gone and much improved versions have taken over the online business world. It’s always a right when people say analytics matter in digital world, it can make your business rise and you just need to read it properly. Here’s how CRM can help you in your ecommerce store and get ahead with your goals. Reading a customer needs proper analytic data and if you rely on a third-party program for this data then you are going wrong somewhere as the data will not be as accurate as it can be. CRM of ecommerce can bring you all the data ones and for all and it can track number of things about your customers like – lead origination sources, cost vs profit, buying habit, return patterns, conversion funnel tendencies and even monitoring trends. Woo Commerce is a popular ecommerce option that doesn’t offer deep insights into many facts. For example, you can look the sales for a period time, but you will not know who is making these sales, what’s the average order value, what your customers are buying, how often they comeback, how you can retarget them and what their social media profiles tells about you. Your team needs to be communicating with each other at a regular interval and also see the data from analytics that is beneficial for them, if a software like skype is used in a organization for communication the productivity may decrease as you will not have everything at your disposal. Here a CRM solution will keep your team connected with internal chat systems, file sharing and lots more which will be eventually helping you in reducing time and efforts for enhanced productivity. Normally you will see CRM and project management software running separately, but if you incorporate ecommerce CRM software, then you can probably assign tasks to a newer person without leaving your core software and you can assign them work with tagging them and providing notes, all inside your CRM for ecommerce. Of course if you’re still using different software for each of your teams in your project. You can still maintain good project management because CRM systems can be easily synced with other cloud apps to share data seamlessly. For example there’s a neat little cloud app called Piesync that provides two-way syncing matches and synchronizes customer data across your connected cloud apps. Let’s say you have your outreach team using Mailchimp but you want to share their data between your sales team that uses a CRM system like Pipedrive in an efficient manner. Well Piesync would allow you Integrate Pipedrive Mailchimp together allowing this to happen. You will get your leads from several places like a newsletter signup, organic leads, new customers, B2B leads, social leads and more. It’s always beneficial to know when you lead has arrived in your pool and when you contact and nurture them for further communication. All this will make sure you succeed in the online business and CRM tools will surely assess your leads in a better way than any other software. Other than the above you also have trend based sales which can offer you the buying trends of your customers. Another good thing about e-commerce CRM software is the data collection benefits, all your customers will have some sort of data that can help you in future. Using data can give you high returns in a good frame of time. Finally, you can improve your product performance and return behaviours by knowing the right and wrongs you have been doing in the past. All the above things must be considered when you are choosing a normal CMR software or the ecommerce CRM software. Do let us know about your opinions and answer the question of how can a business run without a CRM support. We would to hear from you.